Yesterday we posted a playlist of the most streamed songs on Spotify from 2013, but you're better than the rabble, right? You have better taste than the pathetic mindless horde. 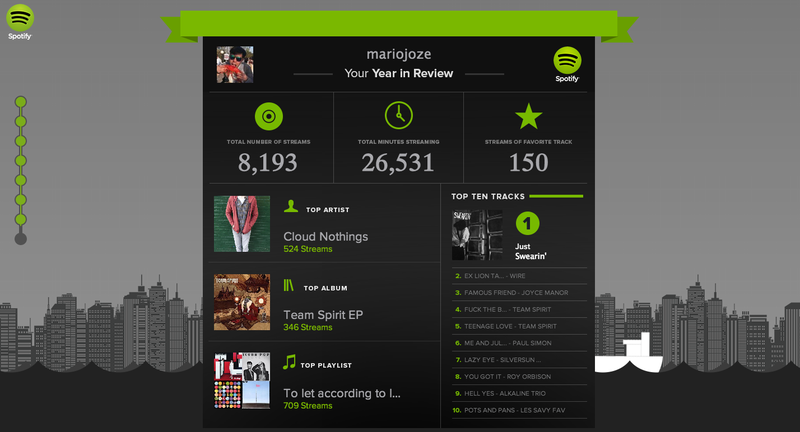 If you log in to your Spotify account from the service's Year In Review page, it'll spit out stats about your year in Spotify jams. Show us yours, and we'll show you ours.